Carbot, the folks behind the StarCrafts series of comedy shorts as well as several others based on Blizzard’s games, have started to work on Overwatch as well. 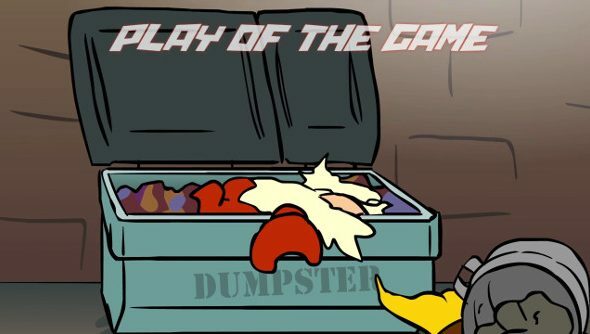 Their first, dedicated to the Torbjörn plays of the game we’re all already sick of seeing, is their usual brand of fun-poking humour mixed with the immediately recognisable, super cutesy art style. Which of the Overwatch characters would you like to see featured next? The series is named UnderWatched, of course. The dumpster is definitely the neatest touch. The video hasn’t quite hit the half million views their other stuff sits around, but has the potential to be their most popular series yet given the game. What’s best about Carbot is they’ve never been afraid to highlight flaws in their comedy, despite being commissioned by Blizzard on multiple occasions. That in mind – the six Bastion defense next, perhaps? Or maybe one about invulnerable Reinhardt or the Mercy ultimate that undoes all your great work from the last 10 seconds? Expect them to get longer as the series goes on, two minutes being a more standard length for the shorts. See more of their work over on the official YouTube channel, including the official StarCrafts graphics mod.